Another first in Samsung’s project innovation line is up and about as it opens door to the academe world. It’s truly an unstoppable undertaking, from one amazing smartphone series to array of various projects all laid out one after the other. Samsung Electronics Philippines Corporation (SEPCO) in partnership with the University of the Philippines Electrical and Electronics Engineering Institute (UP EEEI) recently launched the latest Samsung SMART classroom in UP Diliman. This partnership reinforces Samsung’s commitment in promoting quality education and youth empowerment in the country. Samsung provided UP EEEI with smartphones and virtual reality (VR) headset Gear VR to enable students raise the bar in virtual reality development and experience. 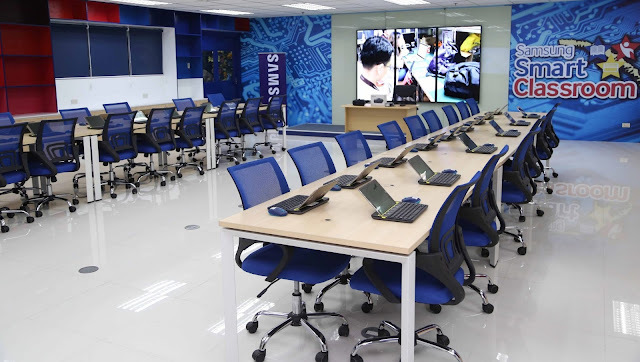 The Samsung SMART Classroom will serve as the main venue for VR4Good, Samsung’s key corporate citizenship program for this year that aims to engage VR developers and enthusiasts, and the academe. This is to gain expertise in VR, which in turn can help in addressing social needs and issues. Other technologies available in all Samsung SMART Classrooms are Learning Tablets and Magic Interactive White Board, a high-impact presentation solution for learning environments.